Car 29, probably somewhere in the vicinity of Carrollton Station. The car shows a Not In Service route sign, but no longer has “work car” striping on the dash panels. 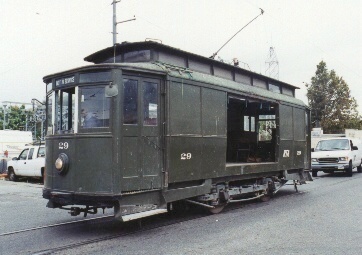 Note the rear view mirrors, which suggest that this picture dates from the time the Perley Thomas cars were one-manned.